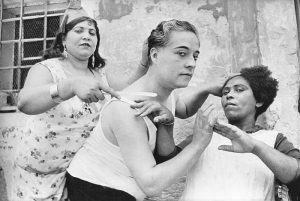 Henri Cartier-Bresson was a photographer (even though he didn‘t consider himself photographer, nor artist, but rather human being) whose photographs helped establish photojournalism as an art form. He is one of the most original, accomplished, influential, and beloved figures in the history of photography. 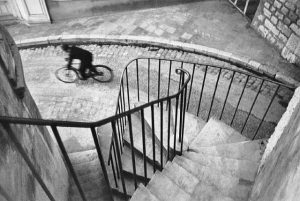 His uncanny ability to capture life on the run made his work synonymous with “the decisive moment”. 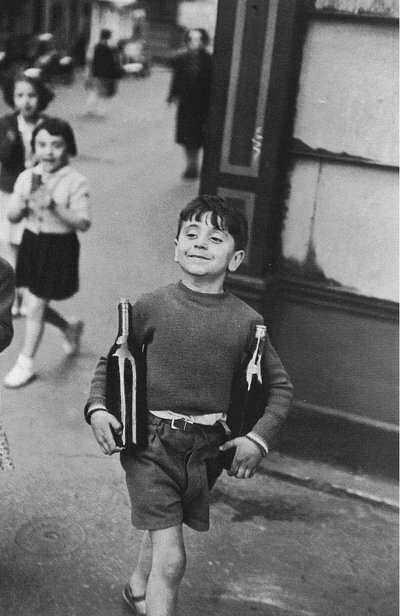 Henri Cartier-Bresson became a master of candid photography and a pioneer of the genre of street photography. His dramatic black-and-white documentary images are among the most iconic in the medium of photography, including indelible images of major political moments in the 20th century. Let’s look at life of this master of photography. Henri Cartier-Bresson was born, as a son of a wealthy textile manufacturer, in Chanteloup-en-Brie, Seine-et-Marne, France. The Cartier-Bresson family lived in a bourgeois neighborhood in Paris, Rue de Lisbonne, near Place de l’Europe and Parc Monceau. His parents supported him financially so Henri could pursue photography more freely than his contemporaries. Young Henri took holiday snapshots with a Box Brownie and later he experimented with a 3×4 inch view camera. 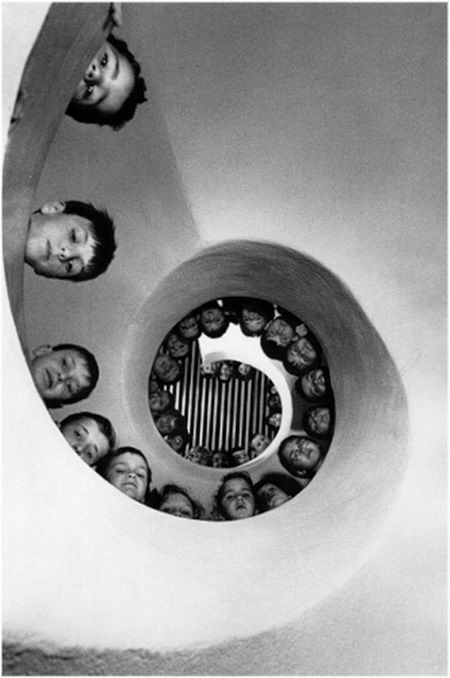 Later Cartier-Bresson attended École Fénelon in Paris, a Catholic school that prepared students for the Lycée Condorcet. After trying to learn music, he was introduced in 1926 to oil painting by his uncle Louis. In 1927 Cartier-Bresson entered the Parisian studio of the Cubist painter and sculptor André Lhote. Lhote’s ambition was to integrate the Cubists‘ approach to reality with classical artistic forms. Cartier-Bresson also studied painting with society portraitist Jacques Émile Blanche. During this period, he read Dostoyevsky, Mallarmé, Schopenhauer, Rimbaud, Nietzsche, Freud, Proust, Joyce, just to name few, and studied classical together with contemporary artists. 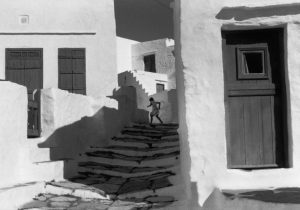 Although Cartier-Bresson became frustrated with Lhote’s rigorous theoretical training, later it helped him resolve problems of artistic form and composition in photography. Thanks to Lhote, Henri started to be heavily inspired by geometry and by the geometric shapes found in the cubist movement. 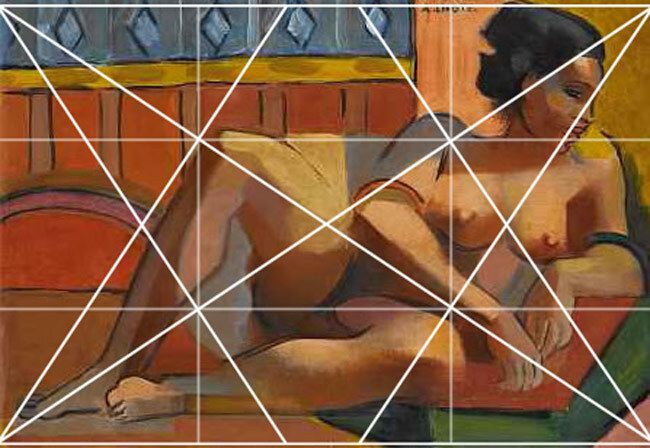 Below you can see Cartier-Bresson using the 1.5 rectangle to organize the frame of his photo, the same way as his mentor, Andre Lhote does in his painting. Cartier-Bresson took place at the several surrealists meetings held by André Breton at the Café Cyrano, in the Place Blanche. 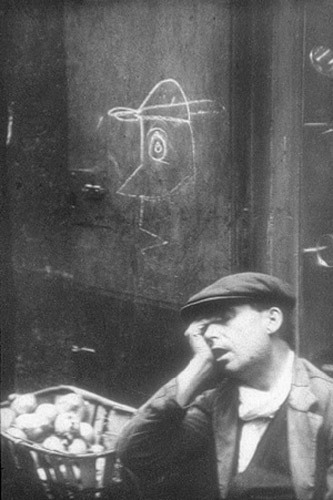 Henri was drawn to the Surrealist movement’s technique of using the subconscious and the immediate to influence their work. He was influenced by the Surrealist attitude. 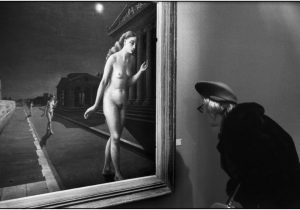 From 1928 to 1929, Cartier-Bresson studied art, literature, and English at the University of Cambridge. 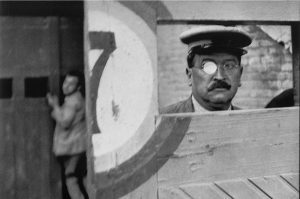 In 1929, Henri’s air squadron commandant placed him under house arrest for hunting without a license. 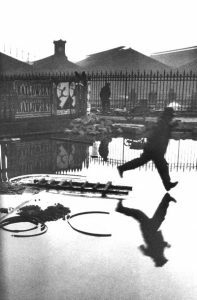 Cartier-Bresson met American expatriate Harry Crosby at Le Bourget, who persuaded the commandant to release Cartier-Bresson into his custody. The two men both had an interest in photography, and Harry presented Henri with his first camera. During conscription in 1930 he read Conrad’s Heart of Darkness and this gave him the idea of escaping and finding adventure on the Côte d’Ivoire in French colonial Africa. From hunting, he learned methods which he later used in photography. Although Cartier-Bresson took a small portable camera to Côte d’Ivoire, only seven photographs survived the tropics. When he came back to France in late 1931, Cartier-Bresson was inspired by a photograph titled Three Boys at Lake Tanganyika by Hungarian photojournalist Martin Munkacsi, which he discovered in the arts magazine Arts et Métiers Graphiques. 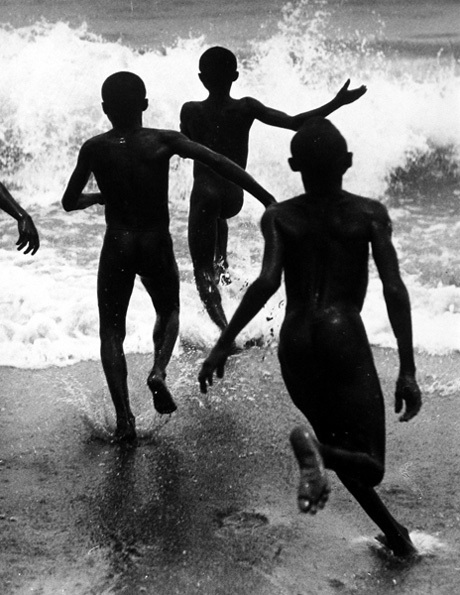 There were three naked young African boys in the photograph, caught in near-silhouette, running into the surf of Lake Tanganyika. This picture captured the freedom, grace and spontaneity of their movement and their joy at being alive. That photograph inspired him to stop painting and focus on photography. In the same year 1932 he produced two of his most famous photographs The cyclist caught gliding down a cobbled hill at the base of some stone steps in Hyères, and The man jumping over a puddle behind the Gare Saint-Lazare, captured in mid-air and reflected perfectly in the water, the pitched roof of the station behind him shrouded in mist. He took his Leica across Europe (Berlin, Brussels, Warsaw, Prague, Budapest and Madrid) when he was travelling with his friends. 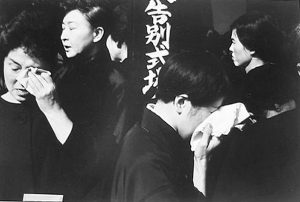 His photographs were first exhibited at the Julien Levy Gallery in New York in 1933, and subsequently at the Ateneo Club in Madrid. 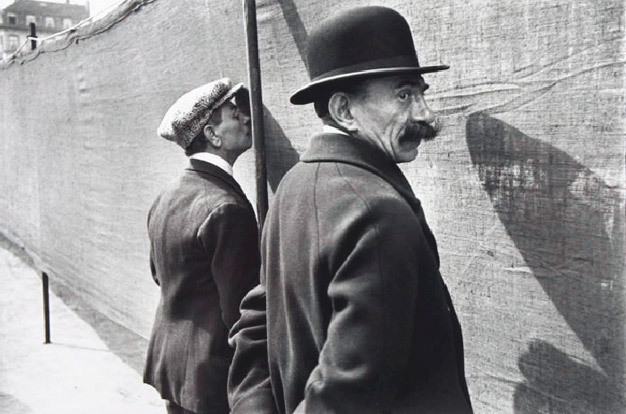 In 1934 Cartier-Bresson met a young Polish intellectual, a photographer named David Szymin who was called „Chim“ because his name was difficult to pronounce. Szymin later changed his name to David Seymour. 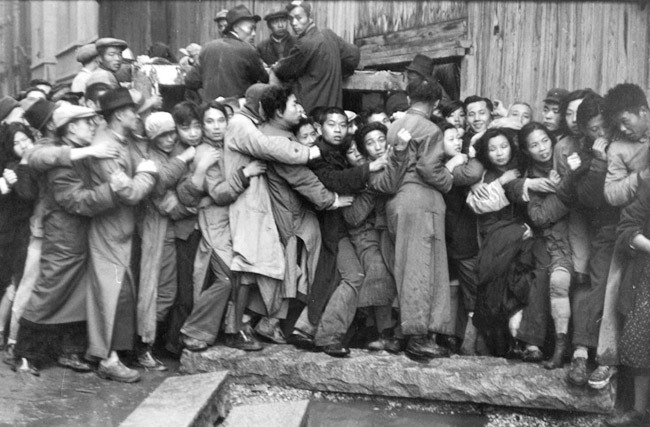 Through Chim, Cartier-Bresson met a Hungarian photographer named Endré Friedmann, who changed his name to Robert Capa. In 1935 Cartier-Bresson exhibited with Manuel Álvarez Bravo at the Palacio de Bellas Artes in Mexico and also New York’s Julien Levy Gallery. Carmel Snow of Harper’s Bazaar gave him a fashion assignment, but he fared poorly since he had no idea how to direct or interact with the models. 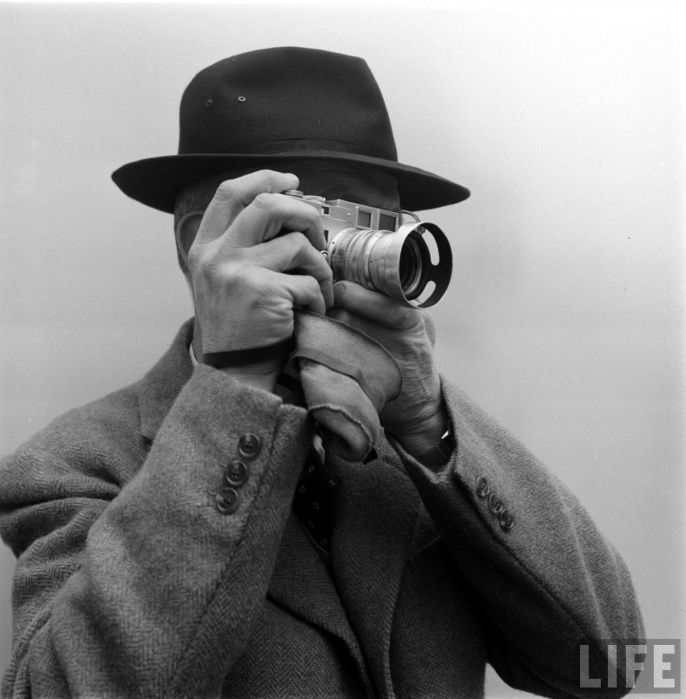 Nevertheless, Snow was the first American editor to publish Cartier-Bresson’s photographs in a magazine. 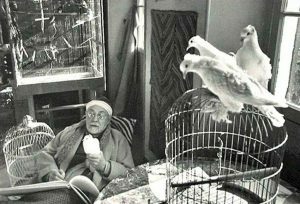 When he returned to France, Cartier-Bresson applied for a job with renowned French film director Jean Renoir and acted in two of his 1936 films. 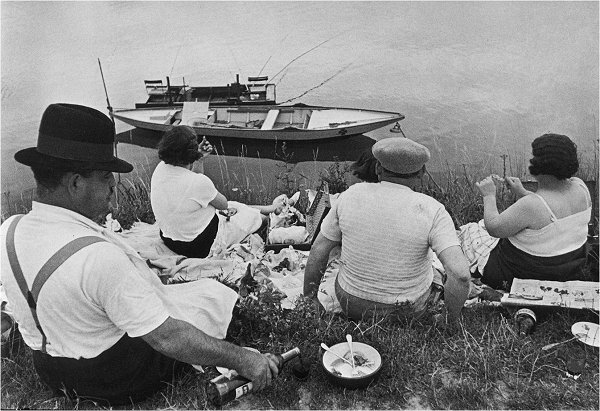 Renoir made Cartier-Bresson act so he could understand how it felt to be on the other side of the camera. 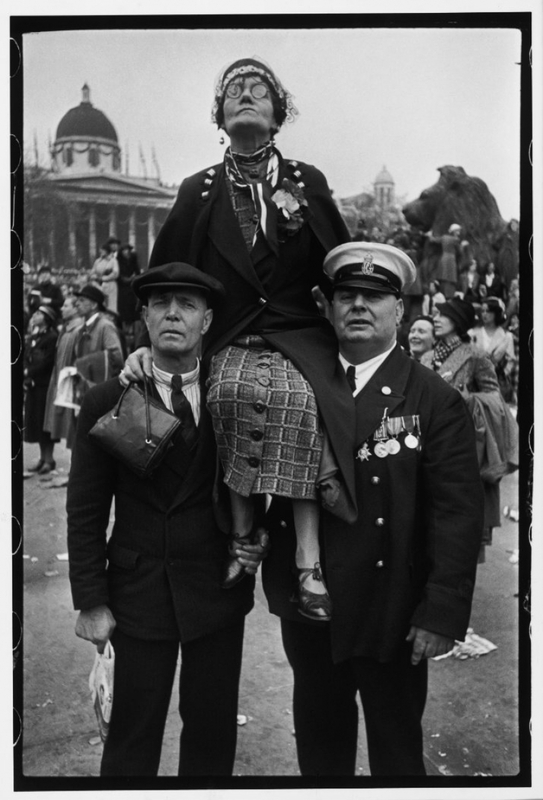 Cartier-Bresson’s first photojournalist photos were published in 1937 when he covered the coronation of King George VI and Queen Elizabeth, for the French weekly Regards. He focused on the new monarch’s adoring subjects lining the London streets, and took no pictures of the king. When World War II broke out in September 1939, Cartier-Bresson joined the Film and Photography unit of the Third Army. During the Battle of France, in June 1940 on June 23rd, he was captured by German soldiers and spent 35 months in camps doing forced labour under the Nazis. After two failed attempts, he successfully escaped the prison camp on his third attempt in February 1943 and hid on a farm in Touraine. 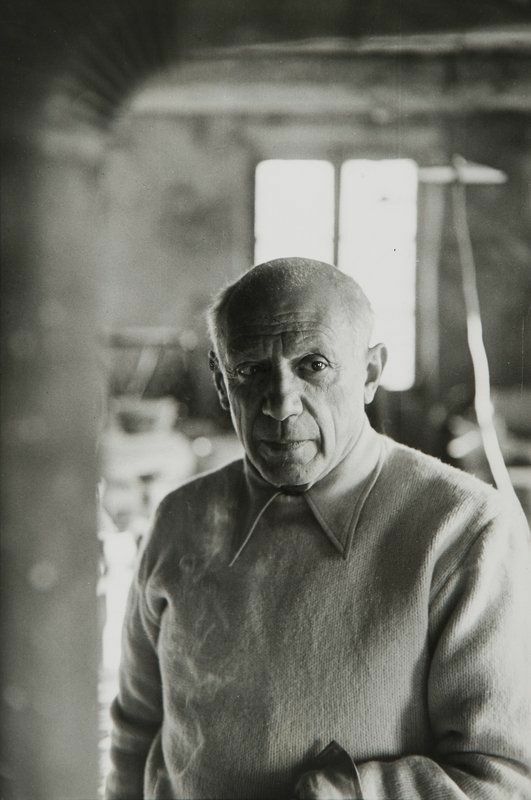 In 1943, he dug up his beloved Leica camera, which he had buried in farmland near Vosges and just a year later he took series of photographic portraits of writers and artists like Henri Matisse, Pablo Picasso or Georges Braque for Editions Braun. In 1946 he spends over a year in the USA. Upon Harper’s Bazaar request, he travels for a few months with John Malcolm Brinnin to photograph artists and writers. In early 1947, Cartier-Bresson, with Robert Capa, David Seymour, William Vandivert and George Rodger founded Magnum Photos. Magnum‚s mission was to „feel the pulse“ of the times. It aimed to use photography in the service of humanity, and provided arresting, widely viewed images. Henri Cartier-Bresson had a talent and luck to be on the right place at the right time. 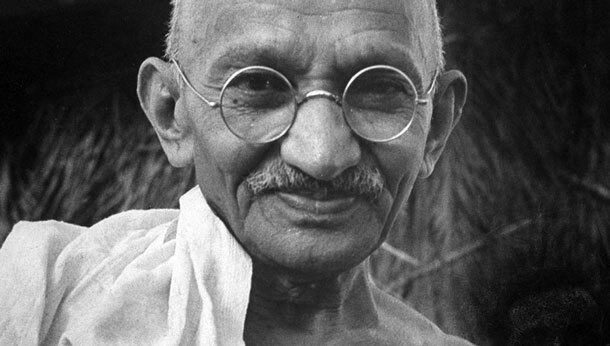 In 1948 he shot Gandhi’s funeral in India and the last stage of the Chinese Civil War in 1949. He covered the last six months of the Kuomintang administration and the first six months of the Maoist People’s Republic. From China, he went on to Indonesia, where he documented the gaining of independence from the Dutch. In 1950, Cartier-Bresson travelled to the South India. He visited Tiruvannamalai, a town in the Indian State of Tamil Nadu and photographed the last moments of Sri Ramana Maharishi, Sri Ramana Ashram and its surroundings. His photographs are published all over the world and he achieves international recognition. 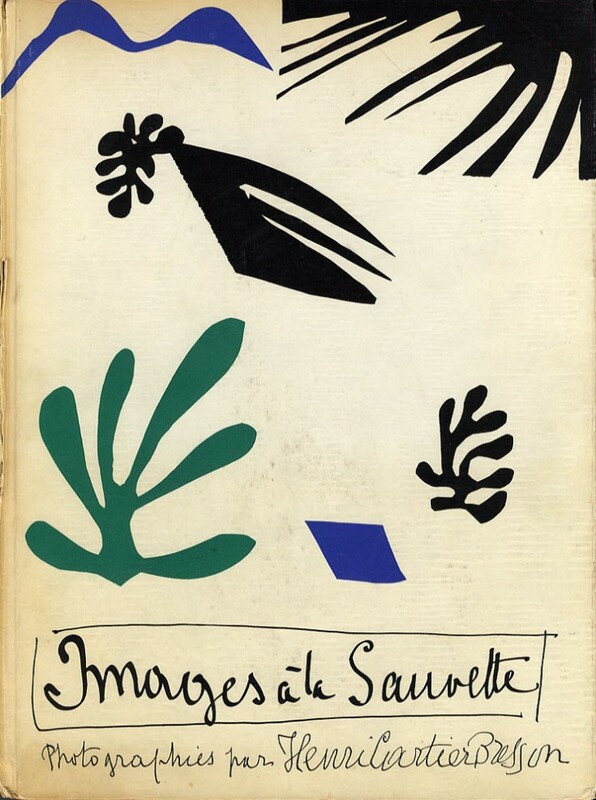 In 1952, Cartier-Bresson published his book Images à la Sauvette, whose English-language edition was titled The Decisive Moment. It included a portfolio of 126 of his photos from the East and the West. The book’s cover was drawn by Henri Matisse. 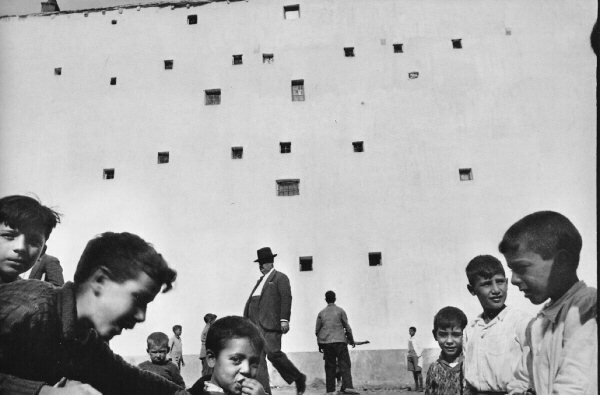 Cartier-Bresson took his keynote text from the 17th century Cardinal de Retz. When you look at Cartier-Bresson’s life, you see that he spent more than three decades on assignment for Life and other journals. He travelled without bounds, documenting some of the great upheavals of the 20th century — the Spanish civil war, the liberation of Paris in 1944, the 1968 student rebellion in Paris, the fall of the Kuomintang in China to the communists, the assassination of Mahatma Gandhi, the Berlin Wall, and the deserts of Egypt and became the first Western photographer to photograph „freely“ in the post-war Soviet Union. 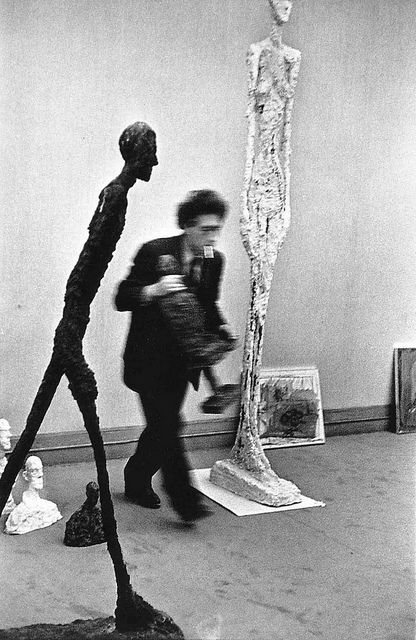 He also documented portraits of Camus, Picasso, Matisse, Pond or Giacometti. 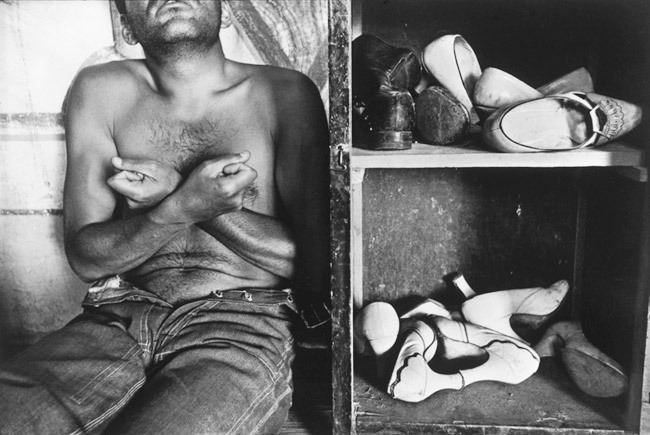 But many of his most renowned photographs are of seemingly unimportant moments of ordinary daily life. These pictures have been made not on assignment, but out of an amateur’s fascination with the world around him. 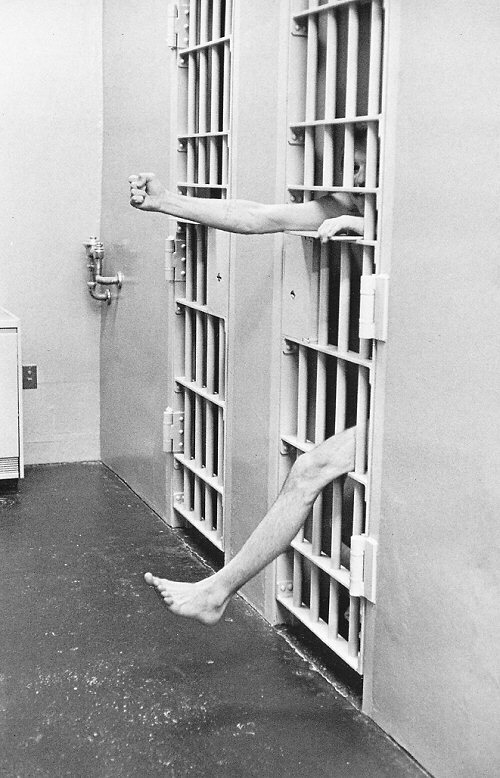 In 1968, he began to turn away from photography and admitted that perhaps he had said all he could through this medium. 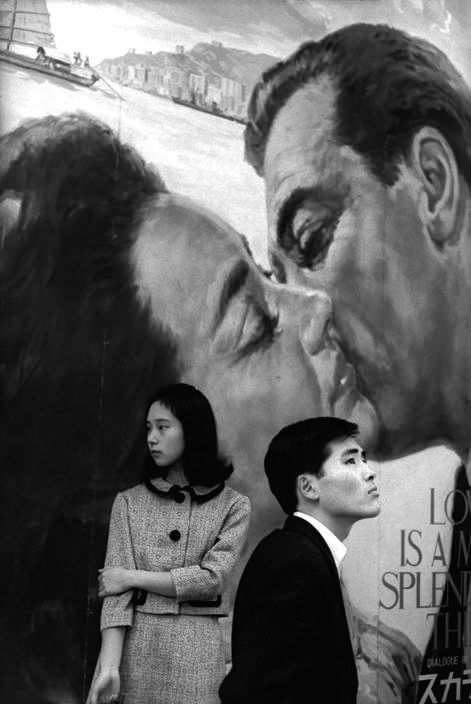 In 1970 he married Magnum photographer Martine Franck. By 1975 he no longer took pictures other than an occasional private portrait and returned to drawing and painting. Cartier-Bresson died in Montjustin (Alpes-de-Haute-Provence, France) on August 3rd, 2004, aged 95. No cause of death was announced. You learnt about Henri Cartier-Bresson’s life and work, about what inspired and who influenced him. But what a kind of a person was he? One thing that we can say for sure is that he was rather shy. 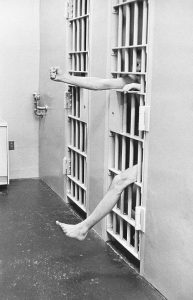 He didn’t like to be photographed and treasured his privacy. Although he took many famous portraits, his face was little known to the world at large. This, presumably, helped allow him to work on the street undisturbed. Cartier-Bresson is actually regarded as one of the art world’s most unassuming personalities. He disliked publicity and exhibited a ferocious shyness since his days of hiding from the Nazis during World War II. There is a story that illustrates this shyness. When he accepted an honorary degree from Oxford University in 1975, he held a paper in front of his face to avoid being photographed. In a Charlie Rose interview in 2000, Cartier-Bresson noted that it wasn’t necessarily that he hated to be photographed, but it was that he was embarrassed by the notion of being photographed for being famous. 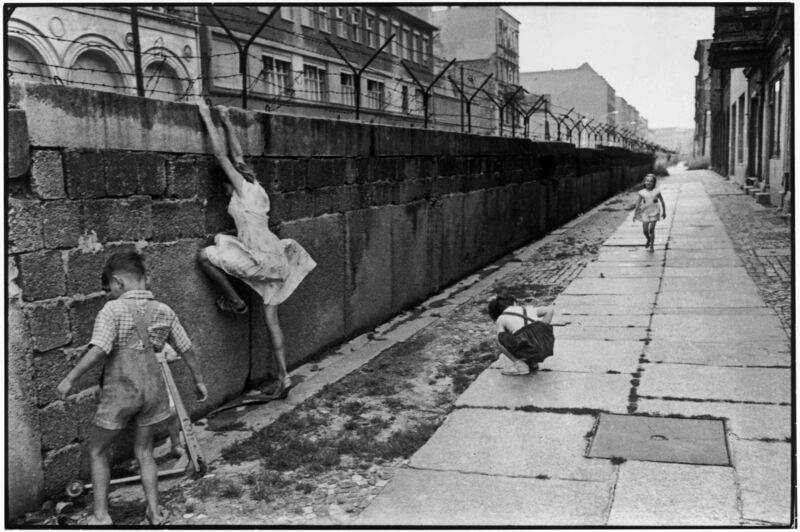 Cartier-Bresson believed that what went on beneath the surface was nobody’s business but his own. He did recall that he once confided his innermost secrets to a Paris taxi driver, certain that he would never meet the man again. And what was Henri Cartier-Bresson’s relationship with technical side of photography? He believed in composing his photographs in the viewfinder, not in the darkroom. He showcased this belief by having nearly all his photographs printed only at full-frame and completely free of any cropping or other darkroom manipulation. He insisted that his prints were not cropped as they include the first few millimeters of the unexposed negative around the image area, resulting in a black frame around the developed picture. He disliked developing or making his own prints and showed a considerable lack of interest in the process of photography in general, likening photography with the small camera to an „instant drawing“. Technical aspects of photography were valid for him only where they allowed him to express what he saw. 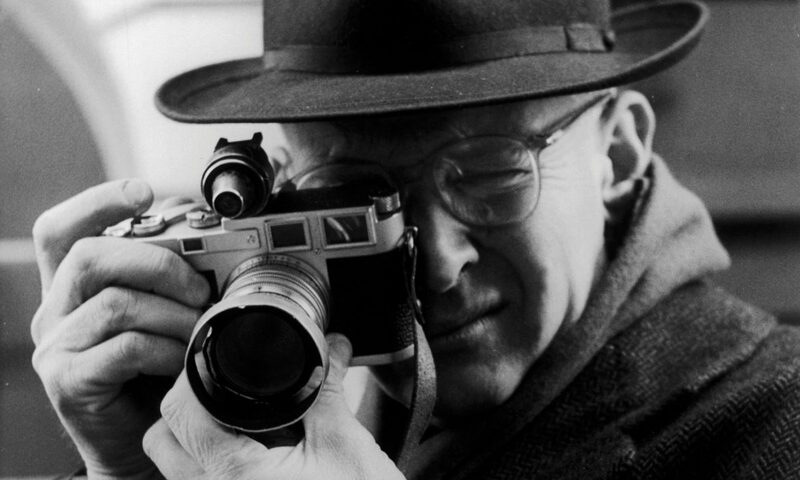 Watch an interview with Henri Cartier-Bresson.